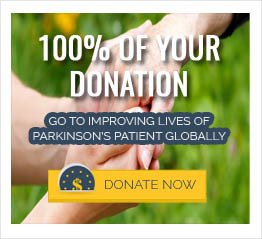 What early Parkinson’s disease exercise can help people that have trouble rising from a seated position? 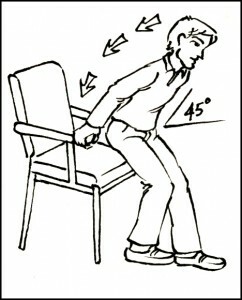 One exercise requires a person to start off sitting on a chair. The person then slides slightly towards the edge of the chair. Then the person leans forward so that their nose is close to their knees. Next, the person places one foot directly underneath the front edge of the chair and the other foot about half a step forward. 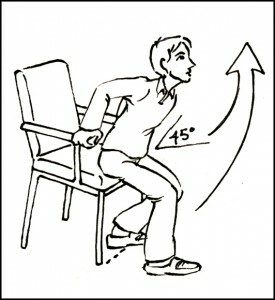 They then hold on to the sides of the chair and lift themselves forward into a standing position in one smooth motion.